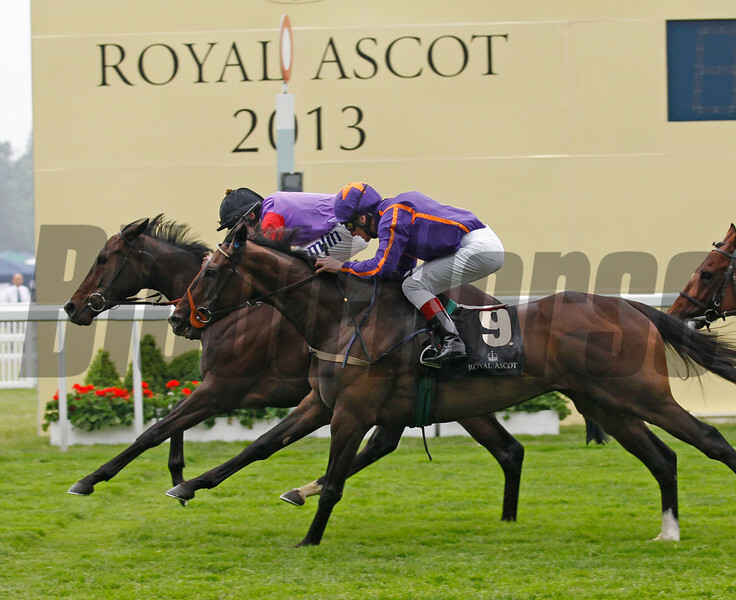 Racing from Royal Ascot 20/6/13. The Ascot Gold Cup . Estimate ridden by Ryan Moore (black cap) wins from Simenon (orange star).